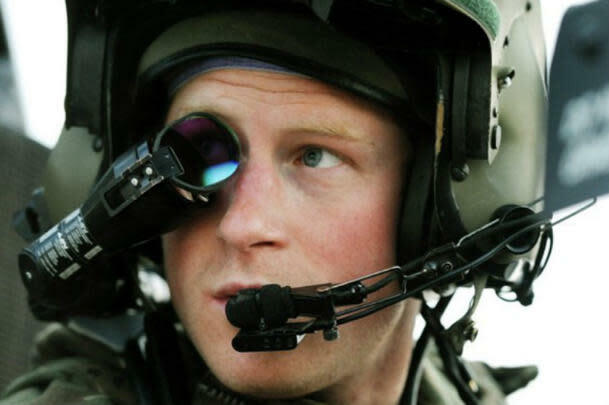 Taliban leaders have fired back at Prince Harry over the royal's comments that piloting a helicopter in Afghanistan—where he says he killed insurgents during his recent tour of duty—is like playing a video game. Harry, who co-piloted an Apache helicopter during his 20-week tour, made the comparison in an interview broadcast by the BBC Monday night. “It’s a joy for me because I’m one of those people who loves playing PlayStation and Xbox," the 28-year-old said. "So with my thumbs I like to think I’m probably quite useful." The Taliban did not appreciate the comparison. Mujahid continued: “It shows the lack of understanding, of knowledge. It shows they are unfamiliar with the situation and shows why they are losing. ... It’s not a game. It’s very, very real." In comments published in the Daily Mirror on Monday, Harry confirmed that he killed Taliban insurgents during his deployment. “Yeah, so lots of people have," Harry said. "The squadron’s been out here. Everyone’s fired a certain amount." The prince, known as Captain Wales and nicknamed "Ugly," said he fired on the Taliban during an attack on Camp Bastion in southern Afghanistan last fall. “Take a life to save a life," he said. "That’s what we revolve around, I suppose." A few days before the insurgent attack on Camp Bastion, Mujahid had told Reuters: "We are using all our strength to get rid of him, either by killing or kidnapping." Sharifullah Kamawal, a member of the Afghan parliament, told the Telegraph that Harry's latest comments could disrupt relations between soldiers and locals there. “This makes the withdrawal process much faster, because for now half of the people say the foreign forces must stay for longer," Kamawal said. "But if they say these kind of things, then more people will want them to go home."